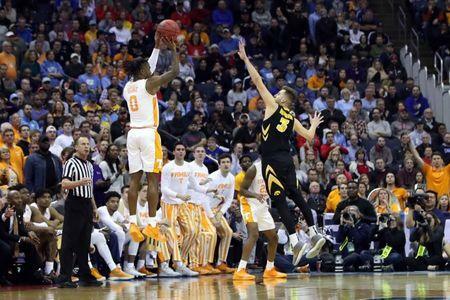 Williams made two free throws, Bone knocked down a 3-pointer and Williams added a hoop during Tennessee's seven-point flurry to begin the overtime. The Hawkeyes finally scored on Garza's two free throws with 2:24 left and Williams responded with a basket 26 seconds later to push the Volunteers' lead to 80-73. 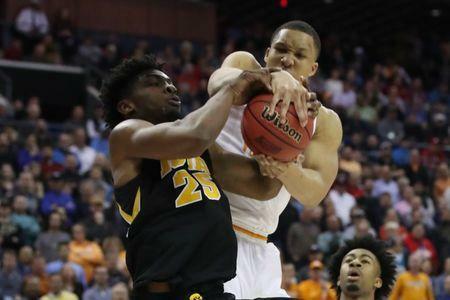 Iowa later moved within 81-77 on Bohannon's layup with 11.2 seconds remaining but Bone made two free throws with 9.5 seconds left as Tennessee closed it out. 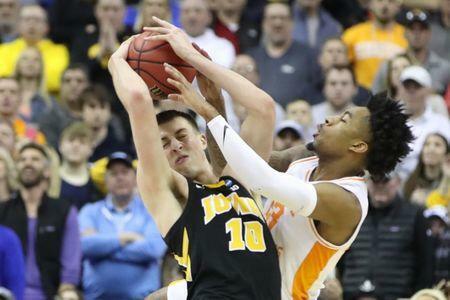 Iowa used a 10-0 run later to trim Tennessee's lead to 61-58. Bohannon drained a 3-pointer with 8:14 left and Garza added two free throws to cap it. Schofield's driving hoop elevated the margin to 25 at 44-19 with 4:22 remaining.